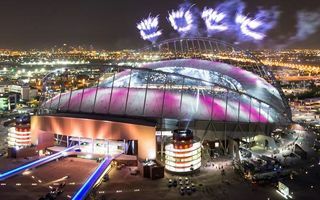 Qatar has enjoyed a rare wave of positive coverage from global media, following the launch of Khalifa Stadium on Friday. Already 5 years before the 2022 World Cup it's ready for regular football use, though it's also worth keeping in mind that Qatar has much more time for preparations than other hosts. Good news quickly caused a reminder from Amnesty International that workers are still being abused in Qatar. The organisation has no new findings of its own since March 2016, though. Instead, Amnesty underlines findings of the most recent external audit led by Impactt Ltd., which shows many persisting issues: the kafala system itself, recruitment fees paid by employees, passport retention, excessive working hours/days without proper rest and fear of reprisal for voicing health/safety concerns.